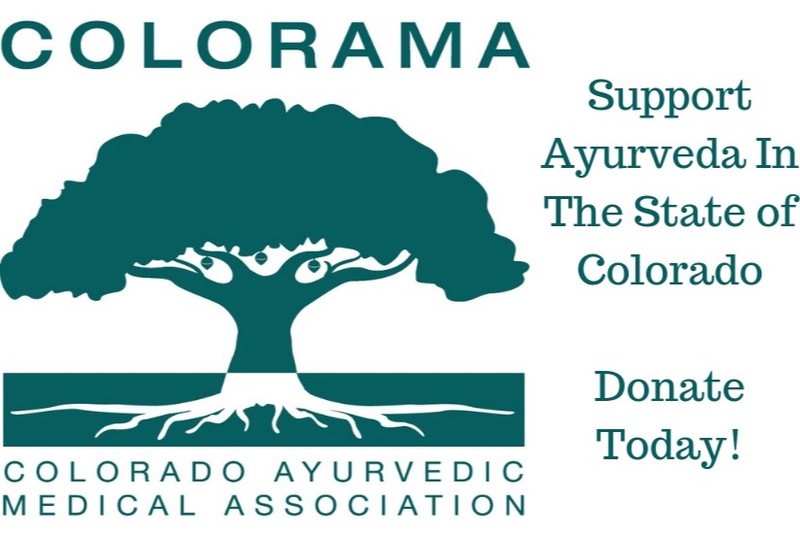 The Colorado Ayurvedic Medical Association (COLORAMA) is a non-profit organization which represents professional practitioners in the legal and ethical practice of Ayurveda statewide. We at COLORAMA strive to ensure that our practitioners’ credentials, training, and experience is appropriate to the level of care being administered, so that consumers can trust the care they are receiving. We humbly ask for your support to help us secure the legal practice of Ayurveda now and into the future, for the benefit of all. Your donation will be earmarked for COLORAMA’s Governance committee for use in this historic effort. Thank you for your generous support of our mission: to protect and promote the interests of participants (client/patients), educators, and practitioners of Ayurveda in the state of Colorado.